Quick but effective?! Just a shot in a dark there. Here, here Cliff. Thanks for the reminder. Off topic, can anyone tell me how to post a picture without simply positng a link to a picture? Then you will really love this.. My idea for the front of the T-Shirts... I will post the back in a little bit. White on a black T-Shirt, or any color T-Shirt with a contrasting color would do. Just the white really shows better. Don't say that yet. I just have a very simple design in my own head for the T-Shirts... I will post and see what you all think. The quicker I get this over to Corners, the better. , , what a great job guys ! I just saw this thread. Looks like most/all those parts have already been contributed. Can you make a "still needed" list ? I think it would be cool to have a reference with the Fiero community being a family. Maybe some where in there we could include welcome to the family. Or Friendly Fiero Folks, or something like that. I also put in my request to have the Friday the 20th off. Lets see what happens. Dude, gave me chills. Perfect. Looks great! OK here is my idea take it or leave it....the alumni of Frazee will cover the cost of the shirts then we can sell them with profits going to the family. I will start working with the alumni when I get the OK from you guys....What do you think? Anything else we can do for you on this end? Lynxer did you hear anything from Zorbaz? 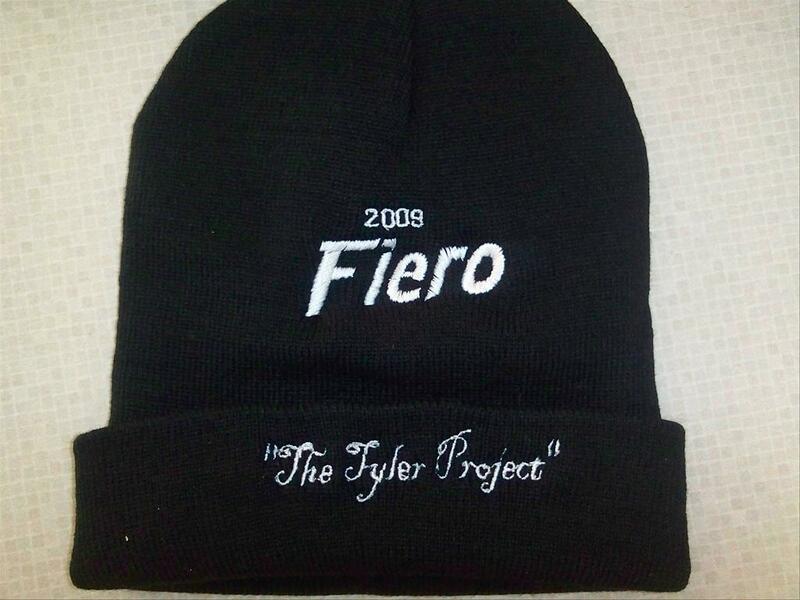 Some of Tyler's classmates and friends would like to maybe be part of the meet and greet Friday night if it happens. Just to say thank you for everything that you are doing. I am 100% with that. I would suggest that all of the businesses that participate get T-Shirts for the staff at no charge, and the remainder of the shirts go up for sale. I would gladly buy one myself. Have a stack of shirts out in front of Frazee Auto Body and Glass for anyone who wants to stop by and buy one to help support the family. I'd buy one as well. We would like your input on the plans for the car currently, with the window tint, the sound system, and other stuff. We need your input to make sure we are on track with what you want Tyler. This is your car, this is your dream. Let's make sure you are happy with it. Those shirts are great! Great job, Synthesis! Question: I want two of these shirts badly, but obviously will not be there for the build day. Would somebody be able to pick me up two of them and I can PayPal you once we figure out what the price will be? I'm sorry if this came buy in bad taste..It never was not meant that way. I see we have shirts getting made. No apologies necessary. We know it wasn't meant that way. I received an email back from Crutchfield, they regretfully can't help us at this time. Something is in the works. Will let you know. Let me get going around here and see if I can sell some to the local community. Please add rod (the window tint guy) as indianapolis window tinting to the thank you list. I need a physical mailing address or someone to pm me info to send donations via Western Union or snail mail--Synthesis??. I don't have Pay Pal. I also have a new--complete set of iner/outer dew wipes if they are needed. What size Tshirt does Tyler wear? Don, you are awesome! I was wondering if he would need dew wipes, especially with the window tint. If you want to donate those to the cause, you are more than welcome to. You are going on the "Thank you" list. Do you want a name on there, or your forum name? Note to would be muggers/thieves. I am 6'4 1/2". 330 lbs, and while I may be a bit chunky now, I still remember all of my martial arts training, and at the very least, I'll sit on you. Heh, if the thank you list gets any longer, we are going to have to custom make some pants to go along with the shirt. I'm back on Tyler's website updates ... I noticed some issues with Internet Explorer and Mobile CE ..... I will correct them. Others like Firefox, Safari have no issues. I will update the donators (I get that list from Page one thread) and continue on the Video streamer and picture gallery ... To who will I forward the WWW account's info, (Cpanel login FTP info ect ect) I have bought and paid for 2 year Hosting and Domaine Name which includes, 100G space, unlimited bandwith, PHP, 10 SQL databases, 100 email accounts. Let me know who to send all of this info to.. THX Have a great Day Ehh !!!! Dont forget "Riverside Auto Value" they donated plugs, wires, distribuer cap/rotor, oil, oil filter, front brake pads and a bunch of stuff for Tyler's Benefit Auction on the 15th! Im guessing that you are taking care of the website... if you need any monotonous code or picture work done let me know as ill do what i can and that would be mostly comp related. I am updating the list for the T-Shirt. Once it goes off to be printed, I will not be able to update it any further after that. CheshireGrin..... Thank you for the offer once they get the build weekend I will surely need your help with the pics, video etc etc ... Are you familiar with Flash 8, XHTML, Dreamweaver ? PM me I will send FTP login info. If i get a rental car ill come and pick you up.